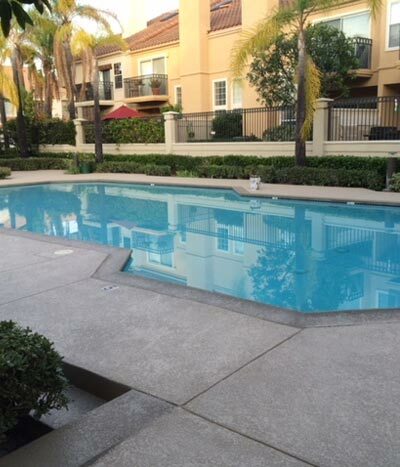 For over 25 years, Tuff Kote Systems has provided Orange County and the greater Los Angeles area with comprehensive deck coating and waterproofing services. We offer Yorba Linda premium quality coating systems for decks, balconies, stairways, and elevated walkways. We decoratively coat and waterproof interior floors, garage floors, and hardscape surfaces such as patios, pool decks, driveways, fountains, planter boxes, and walkways. We can install roof waterproofing and Title 24 compliant roof coatings. And in conjunction with our general contracting division, General Contracting Group, we provide above and below grade waterproofing and deck maintenance, repair, and restoration services. 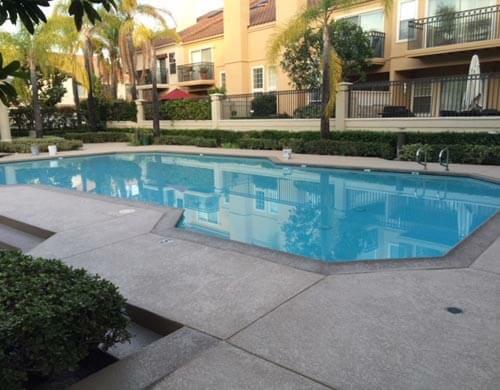 Contact the deck coating and waterproofing specialists at Tuff Kote Systems, and discover why we are the leading deck coating contractor in Orange County and the greater Los Angeles region. We provide estimates to Yorba Linda and throughout our service area, and accept Visa, Mastercard, American Express, and checks. Tuff Kote Systems is licensed, bonded, and insured. Call us today. Rely upon Tuff Kote Systems for premium quality deck coating systems at competitive prices. 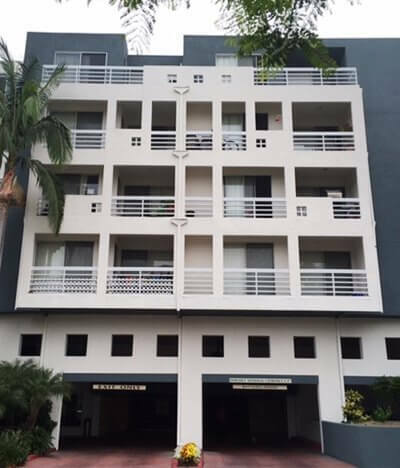 Our deck coating systems are the perfect solution for revitalising the look of Yorba Linda wood or concrete decks, balconies, elevated walkways, stairways, driveways, garage floors, pool decks, patios, and other interior and exterior surfaces, and can be used for both residential and commercial applications. We can install all of latest deck coating colors, textures, and patterns, including faux stone and faux tile looks, and offer our deck coating systems with excellent warranties. Our deck coating can be installed over damaged or worn concrete or plywood surfaces, as well as surfaces which have been previously coated. Contact Tuff Kote Systems today, to schedule an estimate at your Yorba Linda home or business. Tuff Kote Systems is licensed, bonded, and insured. Both groundwater and surface water can cause moisture problems and structural damage in Yorba Linda homes and commercial structures. Rely upon the experienced waterproofing experts at Tuff Kote Systems to resolve these issues in the most cost effective way possible. 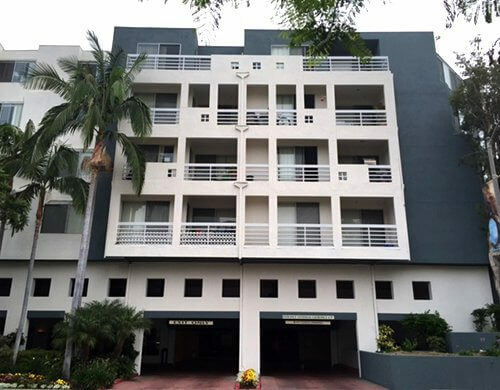 At Tuff Kote Systems, we have worked in the waterproofing industry for over 25 years, and possess the knowledge and expertise required to pinpoint and remediate both above and below grade moisture issues. Seepage and vapor transmission through below grade envelope components such as foundation and retaining walls, foundation slabs, and footings can cause major structural damage. This unwanted moisture can lead to concrete spalling, reinforcing steel corrosion, and the settlement of the structure – resulting in the development of cracks. Don't wait for groundwater and surface water to cause damage to your Yorba Linda home or business property, call us today for an estimate. Don't replace your damaged, weathered, or worn wood or concrete deck, revitalize it with one of Tuff Kote System's beautiful decorative finishes. Our decorative finishes are available in an extensive selection of colors, patterns, and textures, and are a stylish way to accent the look of your Yorba Linda home or business. They are perfect for installation over interior and exterior floors, decks, balconies, elevated walkways, stairways, driveways, patios, and pool decks, and can give these surfaces the look of natural stone or tile for a fraction of the cost. Our decorative finishes are easy to maintain, because they are stain, mold, and mildew resistant, and will serve as a stunning interior or exterior accent to your home or business for years to come. In addition, they are formulated to be stronger than concrete, and will add to the structural integrity of the plywood or concrete surfaces over which they are installed. Under Title 24 Energy Efficiency Standards, the State of California requires certain roofing systems installed over conditioned commercial and industrial spaces to meet specific energy efficiency standards. These roofing systems are evaluated for their ability to reflect the sun's rays, defined as their level of solar reflectance (SR), as well as their ability to give off the heat that they have absorbed from the sun, referred to as their thermal emittance (TE) rating. Title 24 compliant roof coatings help these roofing systems to meet these solar reflectance and thermal emittance standards, and help commercial and industrial facilities to reduce their energy consumption level during the warmer months of the year. 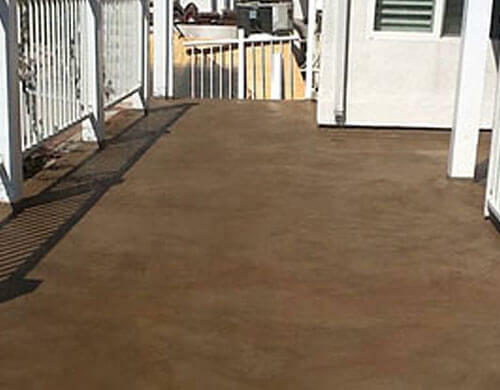 Concrete staining is an affordable way to add beauty and style to residential and commercial concrete surfaces in Yorba Linda. It can be used on interior and exterior floors, patios, pool decks, driveways, courtyards, planter boxes, walkways, and other concrete surfaces. It can be applied to both new and older concrete surfaces, and will last for the lifetime of the concrete surface to which is applied, without peeling, chipping, or fading. Concrete is porous, and makes an ideal canvas for staining. Because of concrete's porous nature, concrete stains and dyes are able to soak deeply into its surface, becoming an intrinsic component of the concrete. Concrete stains and dyes can be applied using a variety of techniques in order to achieve a limitless array of designs, and are available in many attractive colors. 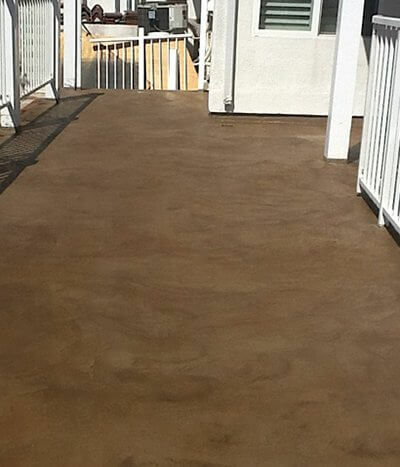 Call Tuff Kote Systems today, for professional concrete staining at competitive prices. Repair cracks; repair dry rot and termite damage. Replace the deck's structural framework. Perform water damage repairs; replace damaged sheathing and flashing. Contact us today. Rely upon Tuff Kote Systems for expert deck maintenance, repair, and restoration services in Yorba Linda. 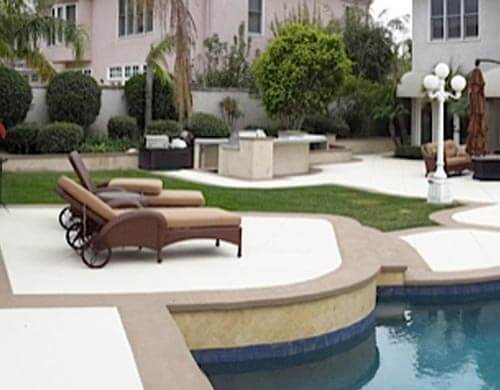 Tuff Kote Systems is Yorba Linda's best value for top quality deck coating and waterproofing Systems. Contact us today to schedule an estimate at your home or business. Join our thousands of satisfied residential, commercial, and industrial clients throughout Orange County and the greater Los Angeles region. We have over 25 years of experience in the deck coating and waterproofing industry, and an established reputation for expert workmanship and excellent customer service. We accept Mastercard, Visa, American Express, and checks, and our office hours are Monday through Friday, 8:00 am to 4:00 pm. Tuff Kote Systems is licensed, bonded, and insured.